With high fat low-carb lifestyles on the rise, it’s important to get enough sodium & potassium. 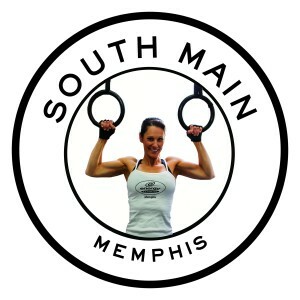 Here at Energy Fitness, Downtown Memphis, nutritional coaching is a huge part of what we do to compliment our personal training. In keeping with our mission to inspire optimal health we must educate you on nutritional science. On a low-carb diet, your insulin levels will go down and your body will start shedding excess sodium and potassium. This causes people to get rid of excess bloating within a few days of low-carb eating. Sodium is a crucial electrolyte and low sodium levels can become problematic when your kidneys dump too much of it. Feeling lightheaded, fatigue, and headaches are a few of the side effects. The best way to alleviate or avoid these side effects is to add more salt to your diet. Here are a few good options below that pack more punch than your average table salt. Don’t just load up on sodium alone you need the potassium along with it to avoid bloating. Potassium can help you to avoid muscle cramps and is also essential to muscle contraction. Science: If you don’t have the right balance of sodium/potassium aka electrolytes then what needs to get into the cell can’t and what needs to get out can’t. Electrolytes are a carrier of nutrients! Pink Himalayan Salt- Contains over 84 minerals and trace elements, including calcium, magnesium, potassium, copper and iron. Sea Salt- Is produced through evaporation of ocean water or water from salt water lakes, usually with little processing. This leaves behind certain trace minerals and elements. Often we see clients come in for their sessions fatigued and just not inspired to work out that day, in which we recommend a vegan vegetable bouillon or broth (even bone broth) but you will never hear me personally recommend bone broth. In fact, I keep the bouillon cubes on hand at Energy Fitness and make up a hot cup on the spot for these such clients. Sometimes they instantly feel better, but definitely the next time I see them the remark that it made a world of a difference in their energy level. This is a much better option than chugging a sugar or artificially sweetened electrolyte sports drink. *If you have high blood pressure issues always consult your Dr. before adding extra sodium to your diet. 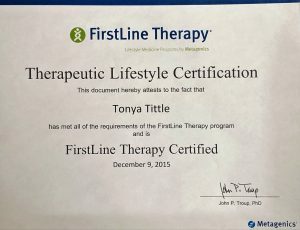 Below are a couple of Tonya’s certifications that compliment her Master Degree in exercise science and ACSM Certified Exercise Physiologist and over 25 years experience in the fitness industry.